UPDATED: Thu., Aug. 9, 2018, 8:46 p.m.
Grigor Dimitrov (5), Bulgaria, def. Frances Tiafoe, United States, 7-6 (1), 3-6, 7-6 (4). Kevin Anderson (4), South Africa, def. Ilya Ivashka, Belarus, 7-5, 6-3. Stefanos Tsitsipas, Greece, def. Novak Djokovic (9), Serbia, 6-3, 6-7 (5), 6-3. Alexander Zverev (2), Germany, def. Daniil Medvedev, Russia, 6-3, 6-2. Marin Cilic (6), Croatia, def. Diego Schwartzman (11), Argentina, 6-3, 6-2. Karen Khachanov, Russia, def. John Isner (8), United States, 7-6 (5), 7-6 (1). Robin Haase, Netherlands, def. Denis Shapovalov, Canada, 7-5, 6-2. Rafael Nadal (1), Spain, def. Stan Wawrinka, Switzerland, 7-5, 7-6 (4). Oliver Marach, Austria, and Mate Pavic (1), Croatia, def. Grigor Dimitrov, Bulgaria, and David Goffin, Belgium, walkover. Raven Klaasen, South Africa, and Michael Venus, New Zealand, def. Lukasz Kubot, Poland, and Marcelo Melo (5), Brazil, 6-3, 5-7, 11-9. Mike Bryan and Jack Sock (4), United States, def. Feliciano Lopez and Marc Lopez, Spain, 7-6 (3), 6-3. Jean-Julien Rojer, Netherlands, and Horia Tecau (7), Romania, def. Ben Mclachlan, Japan, and Matwe Middelkoop, Netherlands, 6-3, 3-6, 10-5. Nikola Mektic, Croatia, and Alexander Peya, Austria, def. Jamie Murray, Britain, and Bruno Soares (6), Brazil, 6-4, 6-4. Kevin Anderson, South Africa, and Novak Djokovic, Serbia, def. Pierre-Hugues Herbert and Nicolas Mahut (3), France, 4-6, 6-4, 10-7. Sam Querrey and Rajeev Ram, United States, def. Juan Sebastian Cabal and Robert Farah (8), Colombia, 7-5, 4-6, 10-8. Henri Kontinen, Finland, and John Peers, Austalia, def. Pablo Carreno Busta, Spain, and Joao Sousa, Portugal, 7-5, 6-1. 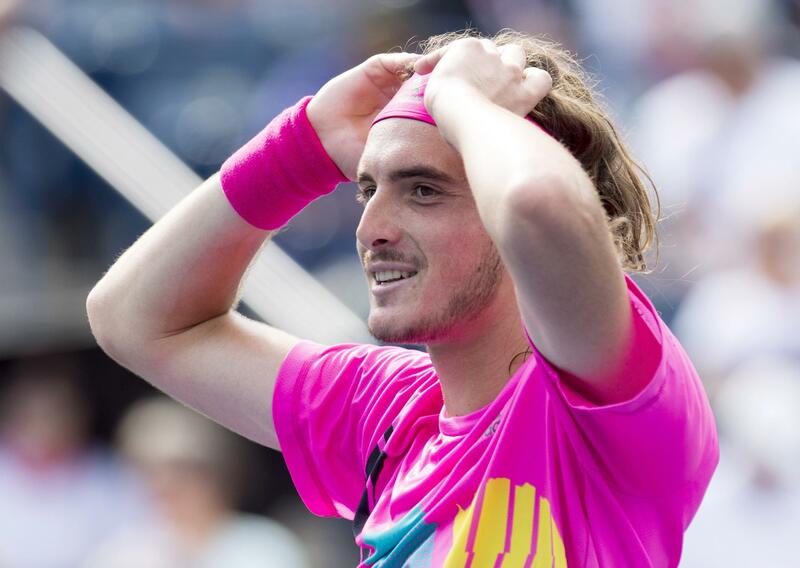 TORONTO – Greek teen Stefanos Tsitsipas upset Wimbledon champion Novak Djokovic 6-3, 6-7 (5), 6-3 on Thursday in the Rogers Cup. Published: Aug. 9, 2018, 2:23 p.m. Updated: Aug. 9, 2018, 8:46 p.m.